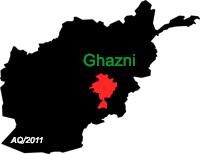 1TV: At least 12 people were injured in road collision involving two vehicle in central-eastern Ghazni province, an official said Monday. The crash happened in Bini Sang area of Khwaja Omari district. Click here to read more (external link).